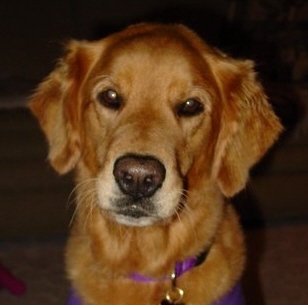 Shannie is an 11-year-old Golden Retriever who lives with Pat and Dave in Warren. She has been a member of K-9s For Compassion since 2005. Shannie loves visiting at Humility House and St. Elizabeth Health Center. When she is not visiting, she enjoys playing catch and swimming. Rudy, who lives in Canfield, will be retiring after 4 years in K-9s For Compassion. During the time that he was volunteering, Rudy and Nancy visited at Park Vista, Humility House, and PAWS to Read program at the Hubbard library, and many, many special events. Rudy is passing the torch of visiting on to his sister, Meja. Meja, we are certain, will do Rudy proud. 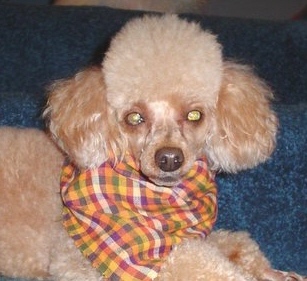 Rudy will retire with grace and dignity, and spend his days playing with Meja, and running and playing doggie games. You have brought unending happiness to people.. and we wish you the best! Last updated: March 18, 2009.